Many homeowners think of the gutters are nothing more than just an extra component of the house’s roofing system. In fact, gutters actually play a critical role in protecting your home from water damage. 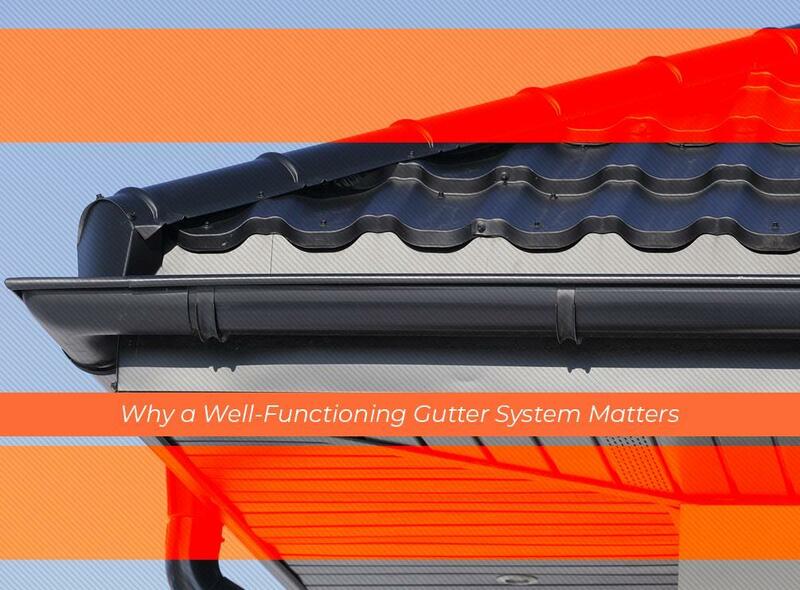 Kidd-Luukko Corporation discusses the importance of a well-functioning gutter system. The gutters are responsible for diverting water away from your home and preventing it from damaging your siding. If the gutters are improperly installed, water might seep out the slats and spill over to the siding. Apart from damaging the aesthetics of your exterior, water might eventually make its way into the wall itself, which presents a whole array of problems. An improperly installed gutter system causes water to spill and eventually find its way down into your home’s foundation. It will eventually pool around the area, causing continuous damage to the very thing holding your home in place. Water damage is why we strongly urge you to work with a professional like us when you’re planning to do gutter installation. Apart from letting a professional install your new gutters, there are also a few ways to ensure your gutters work well. The simplest way is to regularly clean your gutters. Get rid of debris, dirt and rotting leaves to prevent blockages from happening. Keep your gutter well-maintained, too; if you notice that your gutters are in need of repair, call our team so we can restore your system to a working condition. Kidd-Luukko Corporation offers complete roofing and gutter services. Call us at (508) 372-0400 for more information on our products and services. We offer professional gutter installation throughout Boston and Worcester, MN, and Manchester, NH.